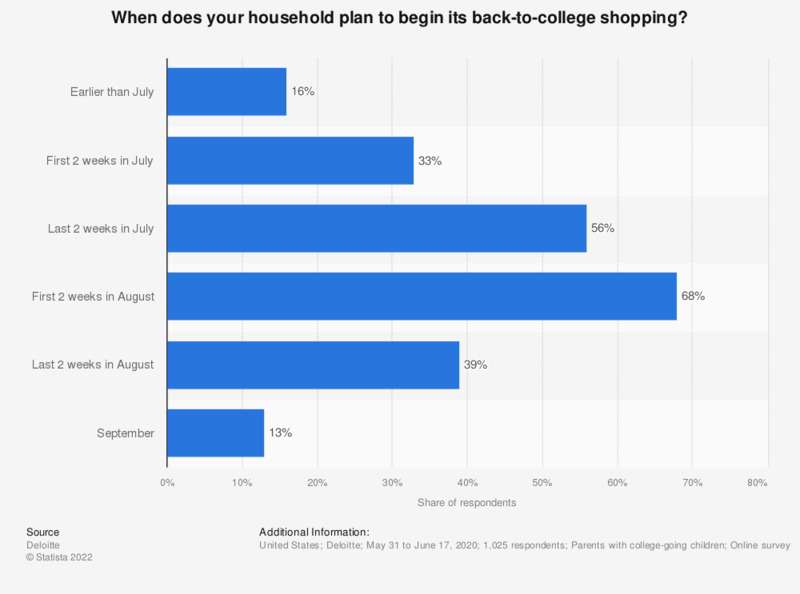 This statistic shows the results of an online survey conducted in the United States from May 31 to June 13, 2018, in which 1,025 parents with college-going children were asked when their household had planned to begin its back-to-college shopping. During the survey, 17 percent of the respondents said that they expected to begin shopping earlier than July. * The study polled a sample of 1,025 parents with college-going children and has a margin of error for the entire sample of plus or minus three percentage points.